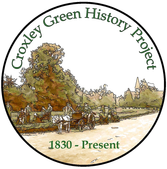 On 7th Feb 1903, at a meeting held in the Dickinson Institute, it was decided to consider establishing a Rifle Club for Croxley Green. The meeting was well attended with many interested residents keen to join if the plan was agreed. Although Mr Charles Barton–Smith was asked to chair the meeting the original concept came from the Rev. C. E. Donnell who outlined his proposals to the gathering. The Rev. Donnell had considered forming a club for some time and had approached Charles Barton-Smith, the Manager of Dickinson’s Mill, who assisted him with the logistics of his plan. A suitable site for a range had been approved by the mill owners on the grounds of the mill. However, it would be necessary to gain approval from the Government Inspector for the use of the land for this activity. The headquarters would be in the Dickinson Institute in New Road. Mr. W. R. Woolrych of Croxley House generously offered to defray the initial expenses. The idea was met with great enthusiasm and a set of resolutions was immediately approved unanimously as were the rules for the sport. The committee consisted of Mr. W. R. Woolrych J.P., President, Vice Presidents, Colonel Healey and Mr. C. W. Kennedy, Treasurer, Rev. C. E. Donnell. 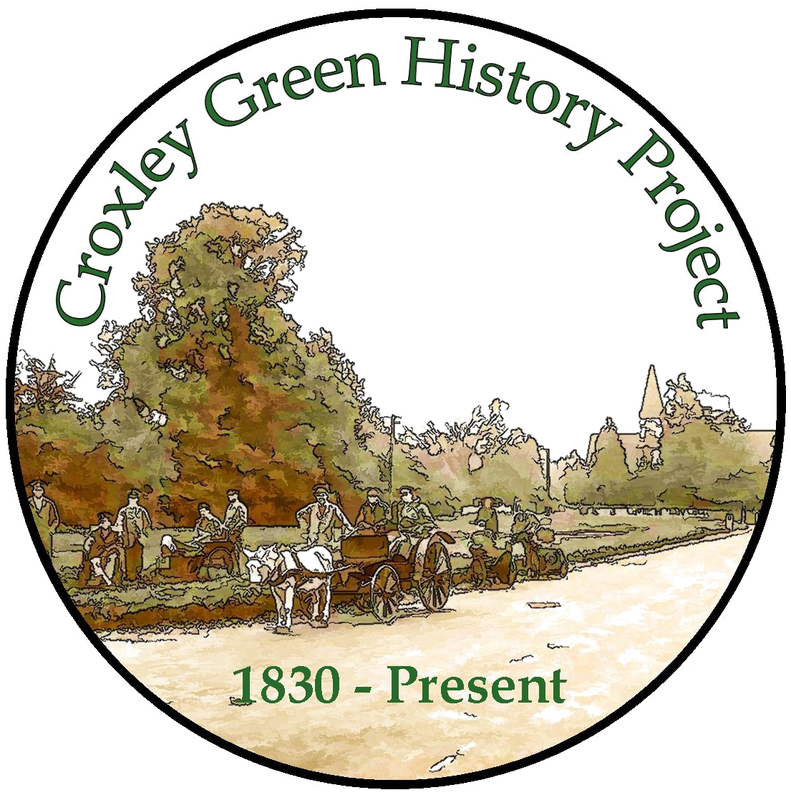 Membership was available to all residents of Croxley Green over eighteen years of age. On the official opening day on 9th May 1903, President Mr. W. R. Woolrych kindly offered to take the initial shot and scored an ‘inner.’ Col. Healey who went second, apparently missed but on close inspection it was found he had fired at the wrong target and had actually scored a ‘bull’. The practice range was a distance of 200yds to the target. 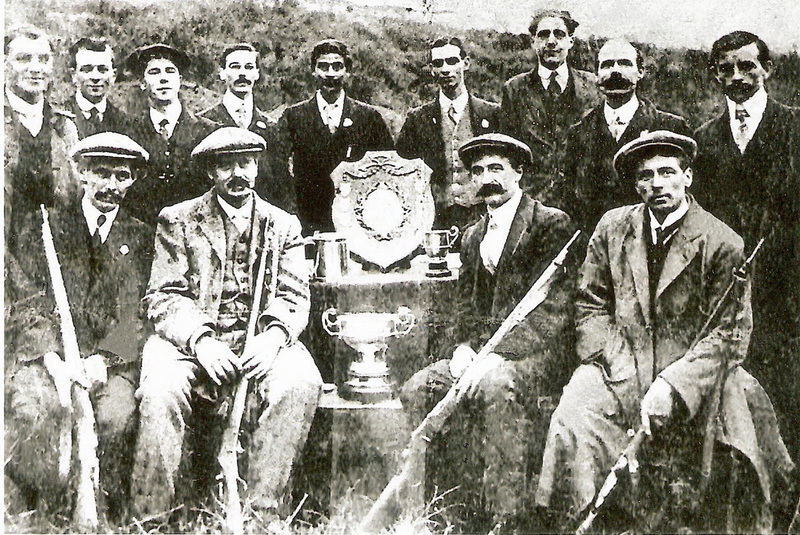 The club was affiliated to ***The National Rifle Association who provided a medal (the Donegal Bronze Badge) the winner of which could compete in the Donegal Challenge Cup at Bisley Camp with the possibility of achieving money prizes. Practice days were to be held on Tuesdays and Thursdays from 5:30pm to 7:30pm and Saturdays 3:30pm to 7:30pm. The agreed annual subscription was one shilling (5p) and members were expected to pay for their ammunition, which cost one shilling for thirty rounds. The members were asked for assistance in the erection of butts and a marker’s shelter, which was required for the competitors to stand and aim at the target. 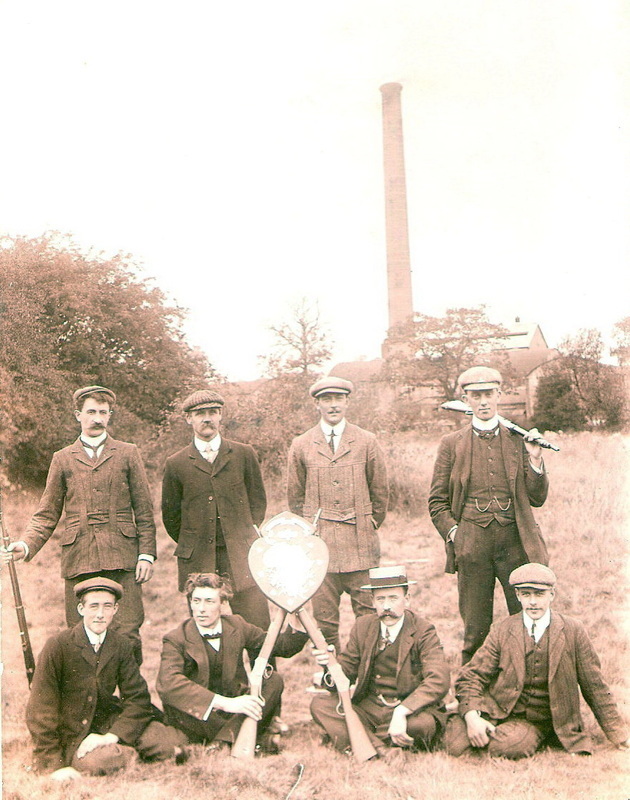 This eagerly awaited sport was soon up and running and almost immediately many competitions took place, especially between the local John Dickinson mills. These were held at the Croxley Green rifle range. The First World War loomed and many forms of competitive sport ceased. At this time sports were predominately a male activity and all young men were actively encouraged to join in the war in Europe. The sport was taken up again when the war finally ended but because the mill site was expanding it was possible this activity was phased out in the 1920's. ***It would appear this sport began in the reign of Queen Victoria, possibly in the1860's. Suitable safe sites were paramount and clubs that were setting up experienced these difficulties. The few photographs that are currently available show the importance this sport was eargerly played with regard to the size of the shields that could be won. Evidence to the dates for the decline to this sport in Croxley Green would be appreciated. "Contact Us"
© The John Dickinson Rifle Club c1915 taken on the rifle range on the mill site. Two of the men featured are John Gudgin and William Rogers. John worked at the mill as an office boy before enlisting as a Rifleman in January 1916 in the Kings Royal Rifle Corps. Unfortunately John was wounded very soon after arriving in France and was returned to England and discharged in June 1917. He was awarded a Silver War Badge which was issued after being honourably discharged because of illness or injury. His parents were George and Charlotte and the family lived 8, Cherry Cottages, Scots Hill in 1911. George's occupation was a coachman and the family had previously lived in York Road. William also worked at the mill as a clerk and in 1911 was living with his parents James, Alice and family in York Road. In October 1915 William joined the Royal Veterinary Corps and was serving in France at the end of the war. He was discharged in January 1919 and was then with the 14th Battalion Royal Warwickshire Regiment. On returning to his family they had moved to 84 New Road. 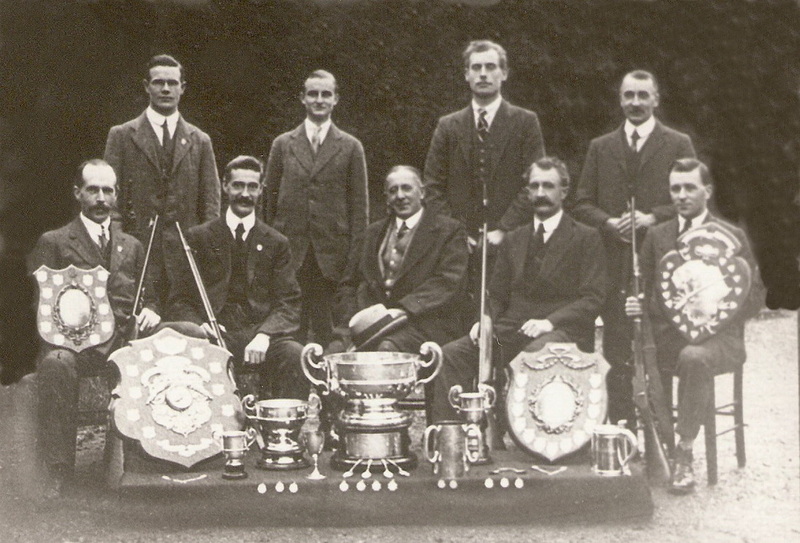 After the war the Croxley and Apsley mill teams amalgamated to become the John Dickinson Rifle Club. Can you recognise any of these men from your family albums so we can identify John and William as well as the other rifle men? 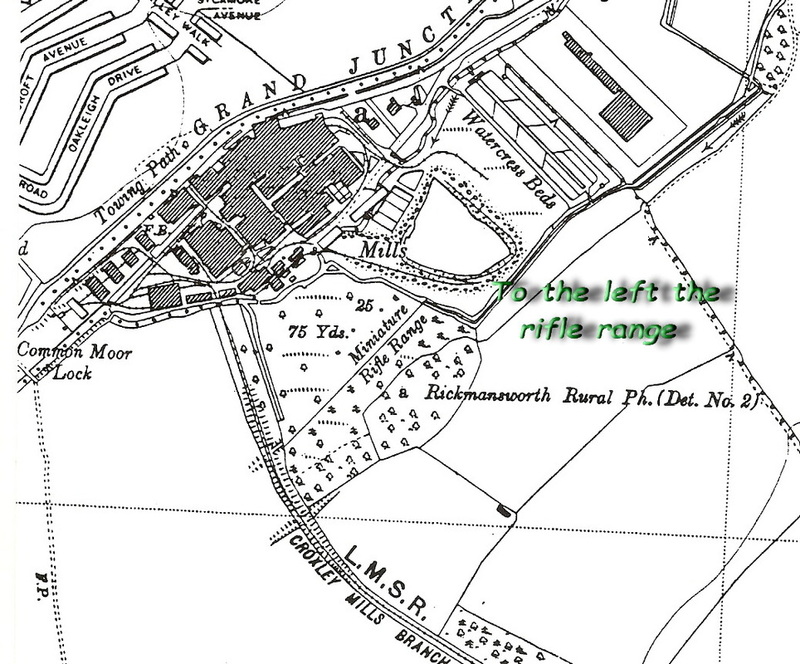 © This map shows the rifle range within the John Dickinson mill site.